La-di-dolls, inc. has been in business since 1986. I continue to hand paint each of our dolls to ensure the best long lasting quality that only comes from a handmade product. Introducing Bailey she is a 7" wood dress up doll and comes with a set of clothes that allow your kids to easily dress their own doll. She also comes with her own carrying case. Bailey is an adorable handmade wood doll with red hair made of yarn. She has velcro to make dressing up your doll easy. Bailey comes with a complete set of 8 outfits. Children of many different age groups can enjoy this doll. They are able to dress themselves as well as come up with hours of stories and games using their imaginations. 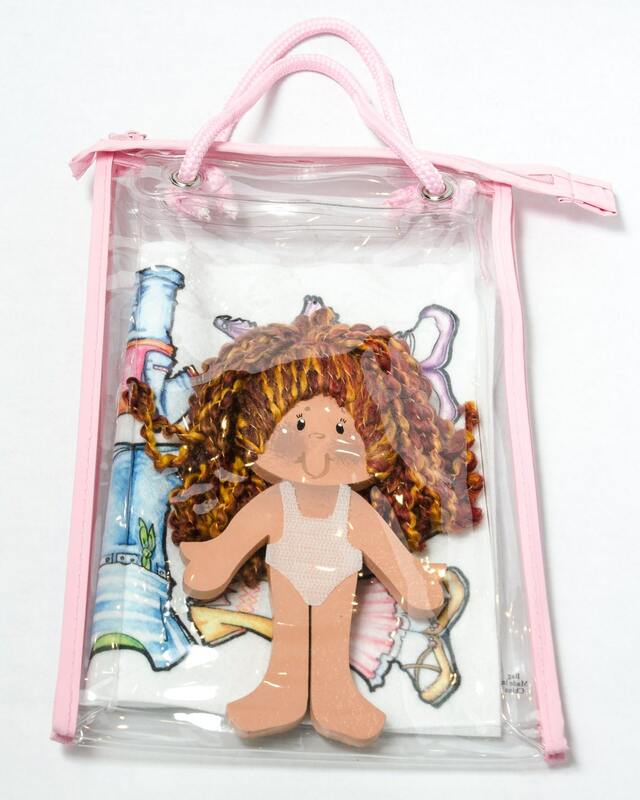 This La-Di-Doll is 7" by 0.25" thick wooden dolls with Velcro to attach polyester felt clothes. Dolls are made from 1/4” MDF wood. Each doll comes with a set of clothes and their own carrying case. Also look for additional sets of clothes for purchase. The doll clothes come on a sheet of felt un cut. They are designed to be cut out on the black lines.